Is there a way to hide the not answered questions in the Autoresponder email? In a form I have fields for sales and one for invoice shipping when the customer does not require an invoice will be blank, so that there is in the mail confirmation is omitted entire bill section because it has no answer. 1. While editing your form go to Setup and Embed tab. 4. 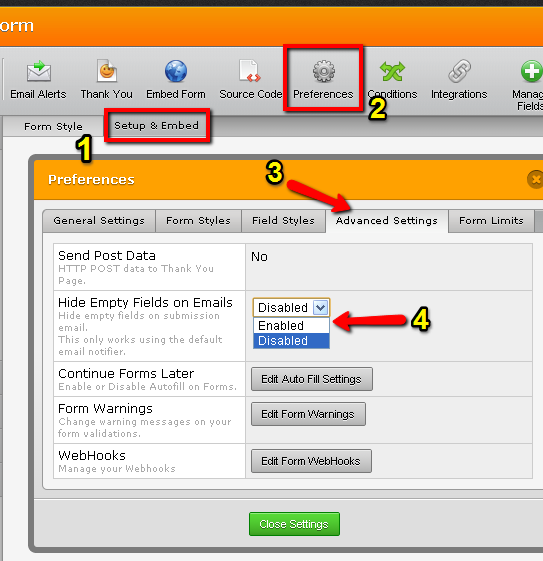 Then in Hide empty fields on email option choose Enabled and save your changes. Then test your form and the empty questions won't appear in the Autoresponder email any more.